Documents, including contracts that showed children being “effectively sold into slavery”, are at the centre of a dispute between the Christian Brothers and a former industrial school resident who retained the papers for more than 40 years. Tom Wall, a former resident of St Joseph’s industrial school in Glin, Co Limerick, obtained the documents in 1973, when the Christian Brothers who were leaving Glin asked him to burn files on every resident. Mr Wall held onto his own file as well as a significant number of files on other residents. In 2015, he donated them to the University of Limerick so they could be maintained and catalogued. 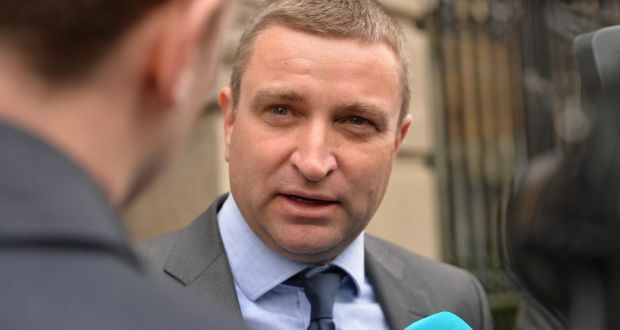 Fianna Fáil TD Niall Collins told the Dáil that the Christian Brothers were now threatening legal action and seeking to recover all the documents from the university. He called on the State to intervene to secure the documents. The Limerick TD said Mr Wall believed the Brothers could have a copy of the documents but not the originals because he felt they “cannot be trusted” with exclusive possession of the original documents. A number of the documents “are incriminating”, he said. Holding up one document in the Dáil, Mr Collins said it was “effectively a contract for sale under which boys were sold out of the industrial school into the labour market”. The documents included health reports, referral letters from the courts service, education referral letters from the Department of Education, and “letters the boys in the schools wrote to their parents and families, which were never sent by the Christian Brothers”. Mr Collins said many of them were State papers, and he asked Minister for Education Richard Bruton to take possession of the documents and to meet Mr Wall to hear his account. The TD said he had also written to the chief executive of Tusla but had not yet received a reply. Mr Bruton said, however, that as far as he could establish his department had no power to seize or “essentially put a freeze on what are private records in this context. I cannot be decisive on that issue because I do not know whether powers reside in another department”. The Minister said he would get back to Mr Collins. He also said it would be inappropriate for him to get involved in meetings sides in the dispute when it was potentially being litigated in the courts. Who is that as i dont know who he is. Is this stupidity? A crime against humanity has been commited and this wally can't secure the evidence??? Seriously??? These Political Parties Have Long Child Abuse Records. They Continue To Administer Torture And To Bury The Evidence. Voices From Beyond The Grave Shall Have Their Say And Day!! I am in touch with Tom Wall for some time and I did advise Tom not to hand over the documents to the brothers, Tom Hayes who runs one of the groups that are collecting money's from the religious etc wanted Tom to let him have the documents, again I advised Tom Wall not under any circumstances, we were all slaves, I helping making boots, working on the farm etc. The Department Of 'Education' Has A Case To Answer. Don't hold your breath Jack. Thank You Seanie! That Is Spot On Advice! We Survivors Need Breathe!